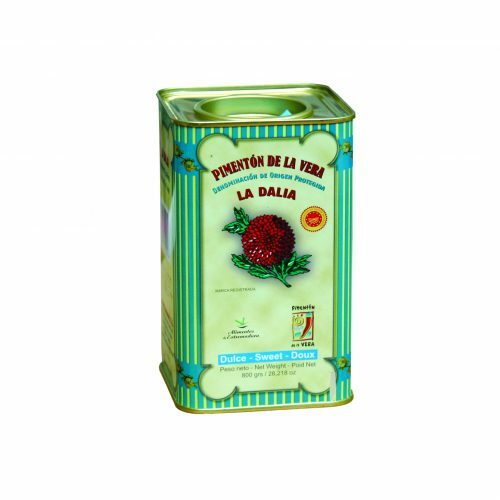 “Pimenton De La Vera” Dulce is a handmade authentic product from the south west of Spain. It is the characteristic aroma, flavour and colour, which make the Smoked Paprika one of the most unique in the world. In addition, the microclimate of La Vera and the oak wood fires that are used for drying the peppers give that extra touch. The method for producing this paprika was originated by monks in 15th Century. Protected denomination of origin. D.O.P.